Since Hong Kong TVB actress, Shirley Yeung (楊思琦), announced on Weibo that she had given birth to daughter, Krystal, Shirley’s current relationship status with the baby’s alleged father, Andy Ng (吳帥), remained a mystery. Rumors quickly circulated that upon discovery that Andy was an “empty shell” with outstanding financial debts, the lovers had already separated. According to Ming Pao Weekly, Shirley was not yet married and unwilling to talk about Andy further. First-time mother, Shirley Yeung, took a leave of absence from TVB in September 2011, quietly flying to Los Angeles, USA to stay with her elder brother while awaiting the impending birth of her daughter. Baby Krystal was delivered naturally, as Shirley heard that postpartum recovery would be better without a Caesarean section. The labor was intensely painful for Shirley. Thinking about Krystal, Shirley brimmed like a proud mother. “When I saw my baby girl, I was very moved and wanted to cry. It was a wondrous feeling! When I see her laugh and cry everyday, she is very cute! Her big forehead and large ears resemble me the most!” She recounted that the diapering and feeding processes were initially awkward, but declared that overall, Krystal was an easy baby to take care of due to her constant sleeping habits. Shirley noted that one baby was a lot of work and will not have another baby for the time being. 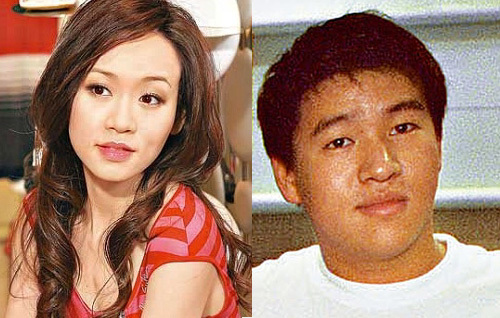 What remained certain was that Shirley intended to lose the 30 pounds of pregnancy weight she had gained, while returning to Hong Kong to work at TVB as quickly as possible. Jayne: From Shirley’s reply, it appears as if Andy was not by her side when she gave birth. The pair may have had an argument, which is not a good sign at all. Giving birth is a big moment and extremely painful for a woman. Their argument must have been very intense for him to not be by her side at the critical moment. However, based on how she had responded to the question on marriage plans, perhaps she did not see her relationship with Andy officially over yet. Maybe the couple still has a lot of matters to work out? Maybe Andy is not her baby daddy? Ssorry but this girl is kinda hood for me. what does/did she see in him? I think she and Andy may have gotten into an argument for the time being, but may not have officially broken up yet. They may get back together again if they work things out. What makes you think that??? So are you saying that this Andy guy may only be a cover up?? Innocent until proved otherwise ^_° so just say the father of cutie Crystal is Andy. We can throw stone and shoot Shirly later if the father turn out to be some rich sick business woman…ah I mean man. That is being said, this Andy is a very good father and very good a boyfriend who did not even take his time to be near his two beloved people in his life, to see the wonderful moment of human being coming to life. We can say Shirley had chosen the perfect man when dating with the broken heart Gregory. If Andy really love Shirley he won’t leave her and the daughter alone. Damn although this might be Shirley’s lesson for what she did to Gregory but that baby is innocent! she wasn’t only dating Gregory, but his family too. lmao. i hope she stays strong because there is a risk of post traumatic depression. Just curiosity, why no one would think the baby is Gregory’s? Is it even possible? ROFL Gregory’s? No I don’t think so from Shirley’s attitude! If its gregory’s baby, why put the guy trough so much pain and herself through so much criticism. Unless she made a mistake on who the father is. Yum Gong! I honestly wonder if it is Gregory’s baby?? But then again, I sort of doubt it…. Well, if according to her testimony, she just jumped from one loser to another bigger loser. I wonder how she feels about her lack of errrr… informed choice? Funn, I don’t think it’s fair to call Gregory a loser…because he’s not rich and successful? Hmmm, this is suprising coming from someone like you who seems more open minded than that. Just because Gregory does not have a successful career in the entertainment business doesn’t mean he has no income. If he’s able to afford a maid, then he has money in the bank. I also don’t think it is fair to be calling Gregory a loser. It’s not like he is unemployed and just living off of others. He has a career and all, even though he is not very successful and makes a lot of money, but at least he is hardworking and doesn’t just slack off…I think being hardworking and having a good heart is more important than just making lots of money. It also depends on how you make the money too and not only how much you make. I meant to say that he doesn’t make a lot of money. Sigh, none of your get Funn. Funn said ‘according to her testimony’. What she means is Greg is a loser in Shirley’s eyes, not that Funn herself think he’s a loser. I’m reading Funn’s comment again and may your right. If that’s the case…my bad. Kidd, you really understand me! i was reading and why the hype about funn calling greg a loser and haha this is all a pure misunderstanding! You guys need to read word by word next time not jumping into conclusions. Poor Funn. I guess that makes Shirley Cheung a loser in love. No big money = Loser? HK standard? Guess that they are in the middle of the discussion. breastfeeding is one of the best ways to lose weight after childbirth. mother’s milk is incredible rich, and pulls a lot of resources from the woman’s body. My better half was below her pre-pregnancy weight after our child was born within a week of childbirth. And she breast-fed for an entire year. I foresee her wrecking Greg’s current relationship. To what end? She has nothing to gain. Who knows, but if she’s desperate for publicity she might drag him into her drama. her baby from the other article doesn’t seem to have big lips like andy unless krystal is more like shirley. it would be a possibility that it’s andy’s baby. however, it would not be fair to him and the lee family at all if she don’t want to do anything with them. i wish her all the best of luck and give krystal a father. the society today is ok with unwed mothers? Nice, women can be independant but, poor fatherless children. The mother must be strong, very strong to have a fatherless child and protect him/her from the cruel eyes of the society. The society is more open but not that ok with single mother. TBO, I have nothing against single parents mommy or daddy, but from personal experience with my son I can’t imagine not having my husband as a father for him. The things he enjoys with his dad is something I can never give him, they play with each other…doing boys stuff, karate class together and loves watching hockey with daddy where I have no interest in that department. Then again, I can’t imagine my son without me because he loves his mommy. And we do more artsy stuff together, I guess what I’m trying to say is nothing wrong with single parents but if a child is given a choice he/she would definitely want both mommy and daddy. Its not up to the society to decide on acceptance of unwed mothers. They should be respect for their great determination in giving birth to a fatherless child with limited finances. In an incomplete family, both mother and child will suffer. Who knows, there might be a blessing in disguise? Anyhow, best wishes to the newborn + mom. Perhaps, he does not want curiosity arises from the public interfering him from recovering emotionally. Dont care who the father is. Just wish things go well for her & baby from now onwards. Amen to that, yes we are curious, but if she doesn’t want to say, she has the right not to say. I have to say she did the baby a big favor, having an ABC is good for baby’s future because she has options to choose citizenship. Yupe, everyone has a right to freedom. She did not state who is the real father because she does not want any public news about her development of relationship with so and so..
Child citizenship is not her main concern at the moment. Isn’t it finance her concern? I wonder if the area where it says father on the birth certificate is blank then… I also wonder if her baby will have her surname? If her baby takes her name, then she is a single mother and refuses to have her baby take her father’s surname.